Perhaps to capitalise on his Mercury nomination (results tomorrow! 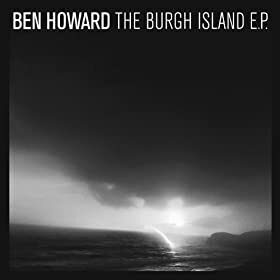 ), or perhaps just because it's Hallowe'en, Howard releases 'The Burgh Island EP' today (pictured), with the brooding Esmerelda being the lead single. As with the previously reviewed Oats in the Water (also included on the EP), Esmerelda is a cold, autumnal track that contrasts with his work on 'Every Kingdom'. The guitar arpeggios begin as a gentle rustling, but soon crescendo to a tumultuous crashing, like the waves of the video. It's as if Howard's fingers are shivering over the strings, his intense and menacing vocals released through icy breath. Even if he doesn't win the Mercury, Howard continues to prove his worth, with this latest EP being a must-listen. Listen: 'The Burgh Island EP' is available now. Watch: Howard is currently on a sold out tour of the UK.